THIS IS OUR VEHICLE NOT FOR SALE, WE ARE USING THIS CAR TO SHOW JUST HOW NICE THESE CARS ARE AND TO DEVELOP IT TO OVER 400 BHP. THIS WILL BE AVAILABLE FOR VIEWING BY APPOINTMENT ONLY. THE CAR WILL NOT BE READY UNTIL LATE SEPTEMBER. MORE INFO AND DETAILS TO FOLLOW. STUNNING EXAMPLE. THIS CAR IS AN IMPORT FROM JAPAN ( RIGHT HAND DRIVE ) STUNNING RUST FREE EXAMPLE. THIS CAR HAS THE USUAL VERY HIGH SPEC WITH FULL LEATHER TRIM, ELECTRIC GLASS SUNROOF, CLIMATE CONTROL, ELECTRIC SEATS, ETC ETC. Meet the luxury estate car from Volvo that does not believe in the need to compromise. This is a car that excels in terms of style, power, safety and refinement, creating the perfect blend to achieve driving excellence. 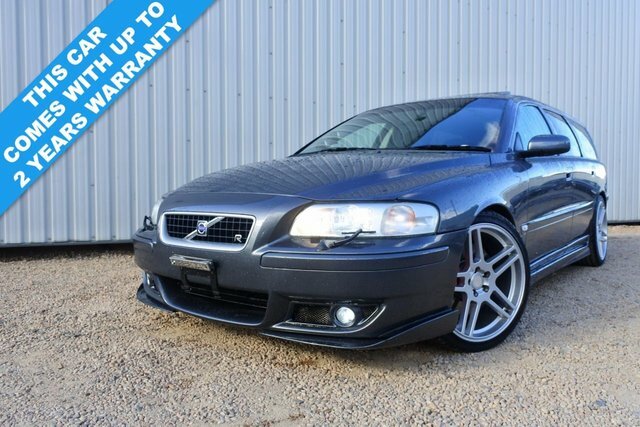 Take a good look at the latest selection of used Volvo V70 models for sale in West Lothian here on the website and be sure to contact a member of the team with any questions. Here at Calder Motor Co Ltd all of our used vehicles are rigorously inspected before going on sale, allowing our customers to always buy with confidence.